If you don’t remember the last episode of Dream Warriors was a result of an Aquaman and Spider-Man into the Spider-Verse double feature and now we are subject to yet another one thanks to Fathom Events. 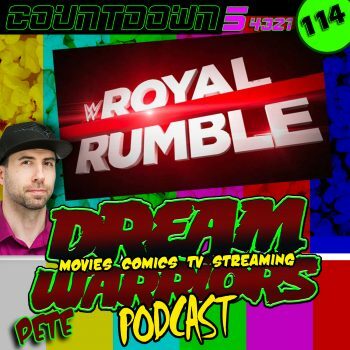 Can the Dream Warriors keep this up for episode #114? Before that hill can even be climbed here is a take on the newest feature from Warner Brothers animation Reign of the Superman that sequel to last years The Death of Superman and both were conveniently available for a single ticket price. Dream Warriors Podcast is the obsessive pop-culture documentation of Peter A DeLuca AKAPAD and is created in Center City Philadelphia. This amazing show is available here.